Celtic’s title party preparations have probably been pretty much finalised, the only details to be settled being where and when. Both those questions could be answered at Easter Road on Sunday. Should Old Firm rivals Rangers fail to beat Hearts at Tynecastle 24 hour earlier, then the second leg of an astonishing third treble could be clinched on the other side of Edinburgh. To see former boss Neil Lennon cavort around the pitch he once called home rejoicing in an eighth successive title for the Hoops is something Hibs supporters would dearly avoid having to witness. 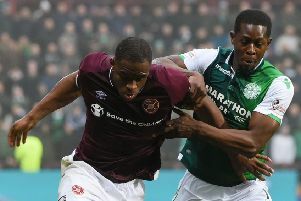 But, insisted Easter Road veteran Steven Whittaker, Paul Heckingbottom’s players have to ignore the hype which would inevitably engulf the match should that scenario arise and concentrate simply concentrate on continuing the turnaround their season has enjoyed since the new head coach arrived. A remarkable 20 points out of a possible 24 not only earned what had once appeared an unlikely top six finish, but an equally outlandish tilt at claiming a place in the Europa League for a second successive season. This time last year Celtic turned up at Easter Road for the first of the five post-split matches, Lennon getting the better of then Hoops boss Brendan Rodgers and so putting off their celebrations for a week. Admitting a repeat of that 2-1 result would be ideal which would also help make amends for Celtic’s Scottish Cup victory over Hibs a few weeks ago, Whittaker conceded it was a big ask. He said: “If Celtic can do it on the day that will be a huge incentive for them, but even if they can’t I’m sure they’ll want to make sure they can get the title wrapped up as quickly as possible. Watching his old pal Scott Brown lift trophy after trophy has become a regular feature of Scottish football, the Celtic skipper like himself defying the years, Whittaker now in the 19th season of a career which began at Easter Road as one of that “golden generation” which also included Kevin Thomson, Garry O’Connor, Derek Riordan and Steven Fletcher. Whittaker, back at Hibs for a second spell having played for Rangers and Norwich City, said: “Scott’s career speaks for itself, it’s been fantastic and I am sure he will be hoping to win a couple more trophies before the end of this season. “Every time he’s been written off he just bounces back. I saw it with Davie Weir at Rangers playing up to and beyond 40. Everty time the team didn’t play well, not necessarily Davie, it ws a case of ‘he’s too old, he’s this or he’s that’. 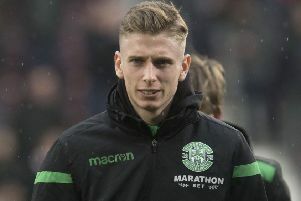 Whittaker admits watching youngsters such as Ryan Porteous, Oli Shaw and Sean Mackie begin to make their mark in Hibs first team turns back the clock to the days he and the others who went on to have such successful careers – all playing for Scotland – were in that position. 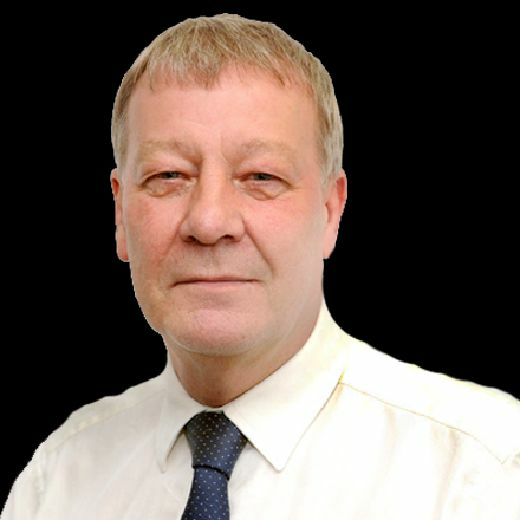 He said: “Throughout the years Hibs have a good reputation for bringing through young players. Garry and Derek were a year older than Scott, Kevin and myself while Steven was a year younger. “We were lucky, Bobby Williamson was the sort who gave youngsters a chance, you were thrown in and you could either sink or swim. We could showcase our talent, we kept playing and that stood us in great stead for the careers we’ve had having such experience as such a young age. “When Bobby moved on Tony Mowbray came in and he was great for us at the time, a great coach while we were all young, keen, fit boys wanting to learn and it all seemed to click into place for us. Whittaker, however, looks unlikely to play on Sunday having only just returned to action with an hour-long run out in Monday’s SPFL Reserve League win over Dundee United having been out injured since Heckingbottom’s first day in charge. “It’s been frustrating,” he admitted. “With a new manager coming you want to show him what you can do but in his very first training session I pulled my hip flexor. “It wasn’t the ideal start but that’s part and parcel of football. I’ve had to do my rehabilitation and have now got to the point of getting some minutes on the pitch. “With the season coming to an end it’s probably going to be hard for me to get back involved but I’ll keep working away and try to put myself in the best place I can.